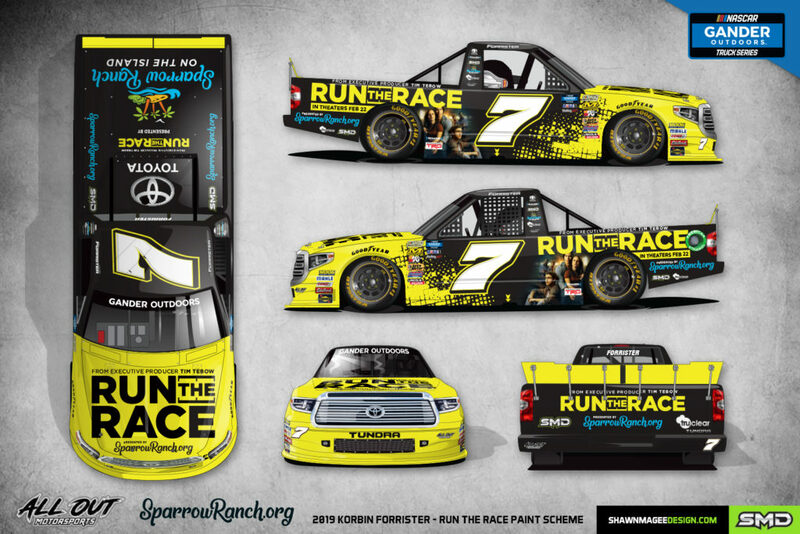 It was announced today that Korbin Forrister will be debuting a new paint scheme for the NASCAR Gander Outdoors Truck Series season opener NextEra Energy 250 at Daytona International Speedway next month. 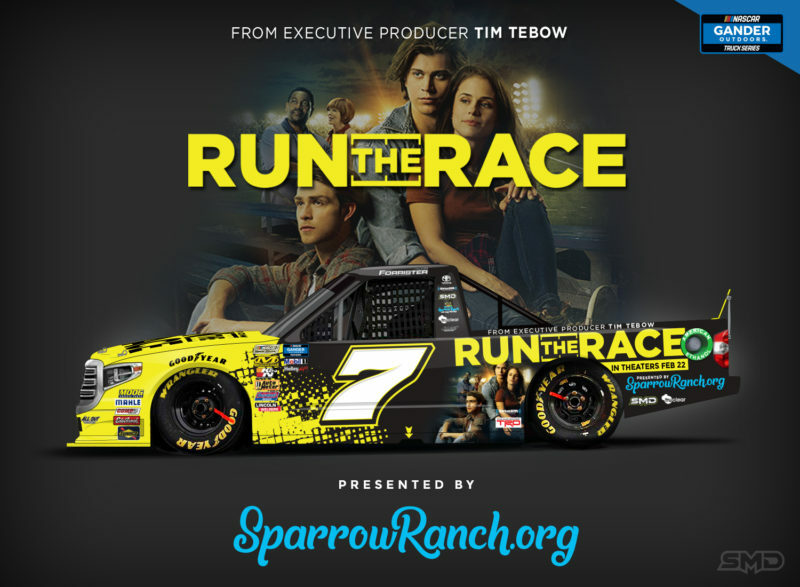 Ricky Teal, Founder of Sparrow Ranch on the Island, a special needs focused ministry, made the official announcement via Facebook that his organization would be partnering with film distribution company Roadside Attractions to promote Run the Race. 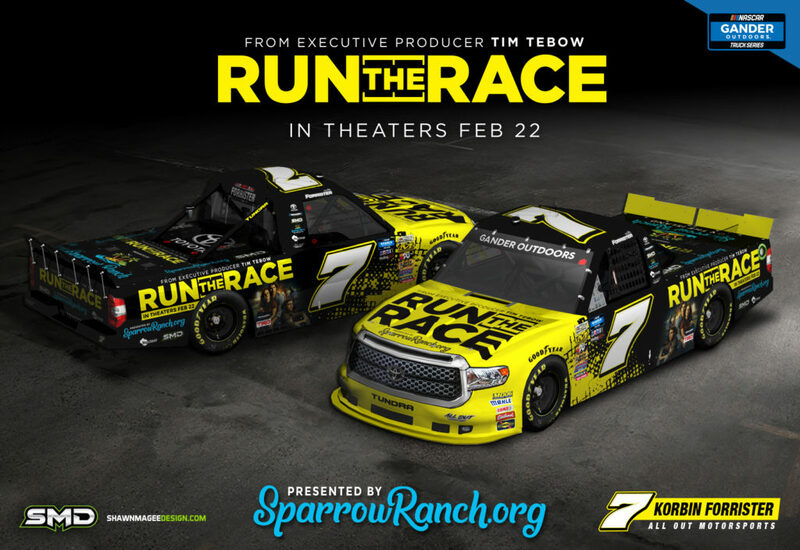 This faith-based feature was co-executive produced by former NFL star and Heisman Trophy winner Tim Tebow and his brother Robby. Roadside Attractions, partly owned by Lionsgate, plans to release the film in theaters on February 22, 2019.